For all those customers who are interested in enjoying the Costa Calida and its beaches and its incredible climate, our real estate agency offers great properties for sale San Pedro del Pinatar. In San Pedro del Pinatar you can enjoy your vacation or retirement like you have never done before. This city has a beautiful Mediterranean coast to enjoy the sea as you had always wanted. The city offers lovely beaches. In many of them you can enjoy their popular 'Chiringuitos' for a drink or a drink while enjoying the pleasure of the sea and the sand. Another of the qualities of San Pedro del Pinatar is its cuisine. If you buy one of our homes for sale in San Pedro del Pinatar, you will have easy access to several modern and traditional restaurants, to taste the exquisite cuisine typical of the area. The foods in this place are ideal to carry a correct diet. Enjoy some delicious dishes, while your health will also enjoy it. 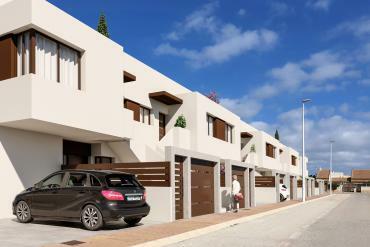 What can you access in one of our properties for sale San Pedro del Pinatar? Depending on your tastes and / or priorities, you will have access to various qualities in our properties for sale San Pedro del Pinatar. One of them is to be able to live and enjoy in a home with a swimming pool. If you are looking for a modern property that has an area to cool off, our homes on the Costa Calida offer it to you. Other advantages of buying one of our houses for sale in Murcia are its proximity to the sea. There are some properties that are located a few meters from the beach. If you are a lover of the sea and want to enjoy it every day, you can do it by trusting in our offers. 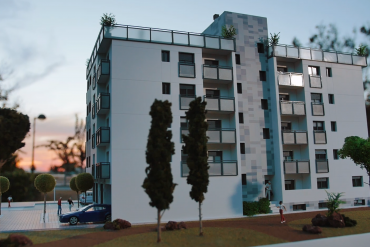 If you would also love to be able to go out to the balcony or terrace of your new home and contemplate incredible views of the sea, some of our properties are built in areas to fall in love with the maritime landscape of the city. If you want to know more about our real estate agency to trust in the purchase of one of our properties for sale San Pedro del Pinatar, you can access it, visiting us in Torrevieja or Orihuela Costa. To visit us in Orihuela Costa: La Zenia Golf 4B, (Alicante) | 0034 965 083 434.